My grandmother hasn’t been well. Her condition hasn’t been great since my grandfather passed about 18 months ago, but in recent weeks it’s taken a serious turn for the worse. I’ve been out to see her a few times. She’s been in a rehab center, and just over a week ago went into the hospital. She was released, and is living at home with 24 hour care. She’s been home for a few days, and I’ve been back in the country for a few days. I settled on Thursday for my visit because it meant I wouldn’t need to connect, thanks to American’s new Austin – Miami non-stop service. The flight leaves just after 6am, and the return from Miami departs just before 8pm. That makes it perfect for a same-day in and out trip (if you think getting up super early is ‘perfect’ but it lands in plenty of time to even be up North in Boca Raton by lunchtime). Austin weather was supposed to be pretty bad, with possible snow and ice Thursday morning, but I woke up to roads that were perfectly clear. That was great for getting to the airport. Not everyone decided to make the trip. It turns out that the local dignitaries who were supposed to show up for the festivities didn’t. They decided to stay home instead. 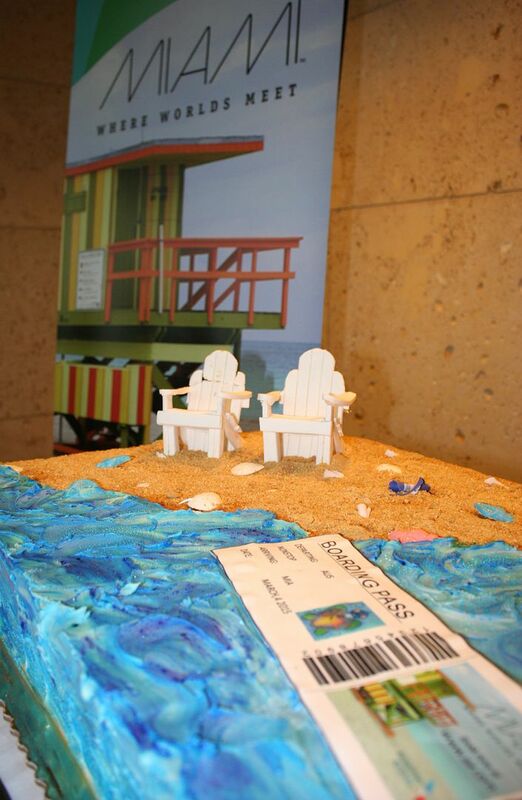 Several were at the airport the day before though, it turns out they ate the cake early. A supervisor on the club had photos of it, which she emailed to me. 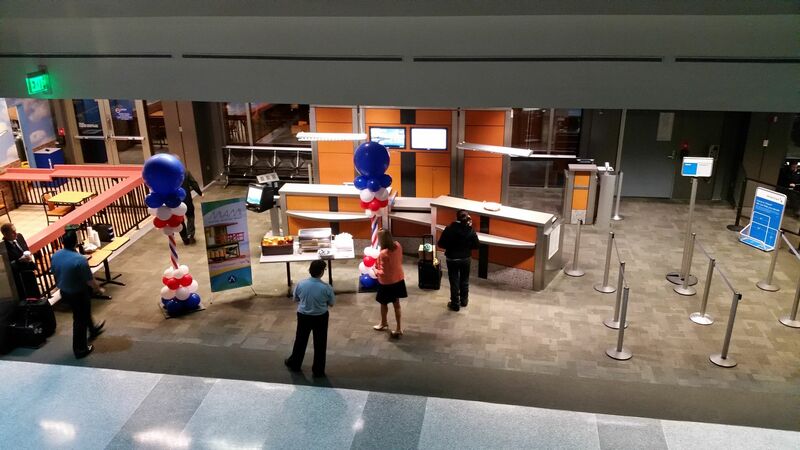 American brought balloons down to the gate and a banner promoting their new Miami service. 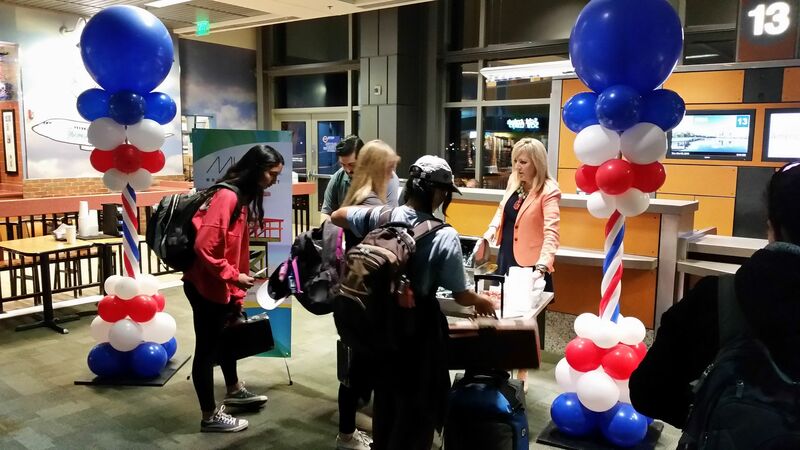 Most of the passengers didn’t seem to know it was an inaugural flight. I suppose they were just presented with flight options when searching for wherever they want to go, and just booked the most convenient choice. A group of 20 was headed to Haiti. The flight was actually oversold by 2 in back, but loads were light in the first class cabin. My upgrade cleared four days out (in both directions) and we ultimately went out with an empty seat up front. What everyone was pretty excited about though was free food. 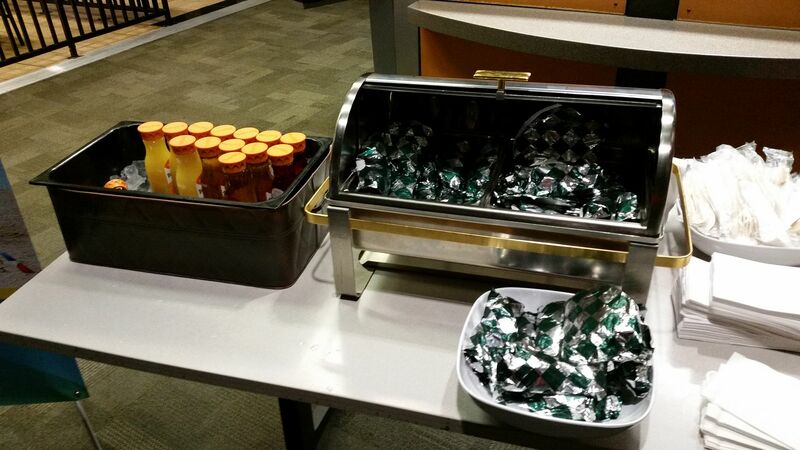 They had coffee, juices, and three kinds of breakfast tacos. We didn’t have any dignitaries, normally you get bribed with food to politely listen, in this case we got the food without the tax. There was egg, cheese, and your choice of bacon, sausage, or potato. With that as the fanfare, service was launched. 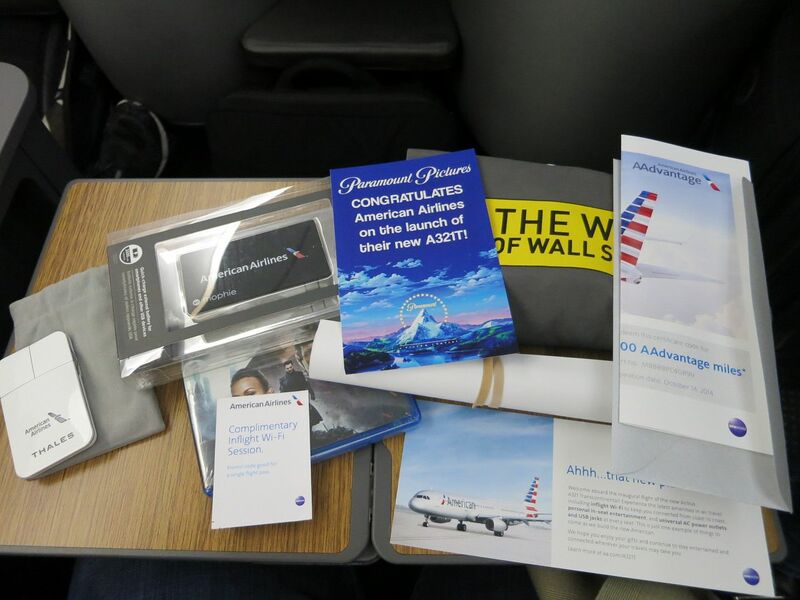 This wasn’t American’s A321T inaugural which had some goodies onboard and some executives as well (although surprisingly few, and no speeches). … but it was a very functional launch, a bit of free food, and mostly a real added convenience for me. On the return trip there was even less fanfare. There were balloons at the gate, but no speeches or food. Just an on-time departure, for which I’m always grateful (and a surprisingly un-chaotic boarding for Miami). 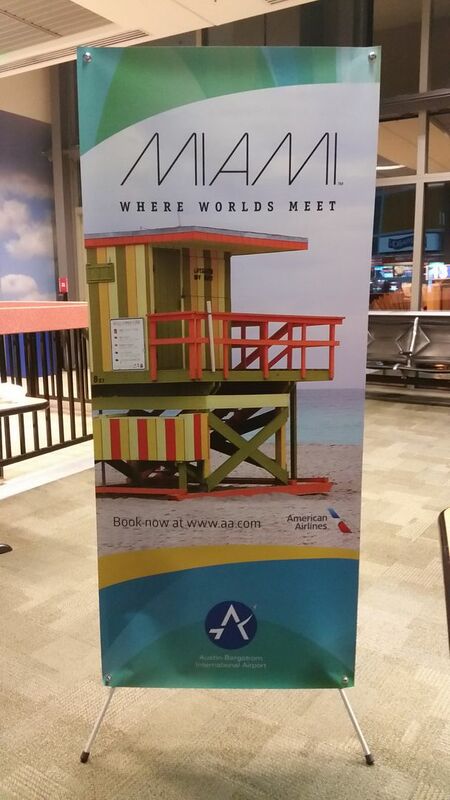 Perhaps AA is hoping to shag some of the Austin locals going to the upcoming AARP convention. The convention is in Miami, around mid-May. Now the news that really got my attention is Spirit Airlines pitching cruise trips. For now, Spirit is just a third party and not doing the sailing. It is nice that any airline does these inaugurals for new domestic services. I would only expect festivities for the launch of a new international destination. I hope your grandmother’s health improves! Sorry your grandmother isn’t well. From one old Austinite to a new Austinite, my warm welcome to Austin! I forgot to welcome you the other day when you first mentioned relocating to Austin. I am a Hare Krishna guru (based in Austin) circling the globe twice a year to teach people how to become self-realized. You’ve given me some valuable tips to help me with my global travels. I appreciate you for that. Keep up the good work!